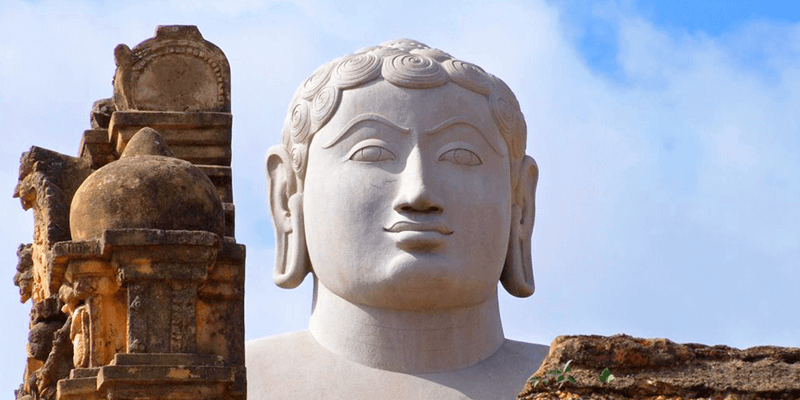 Gomateshwara Temple and Statue is a 57-foot 17 m high strong statue arranged on Vindyagiri Hill at Shravanbelagola in the Indian domain of Karnataka. 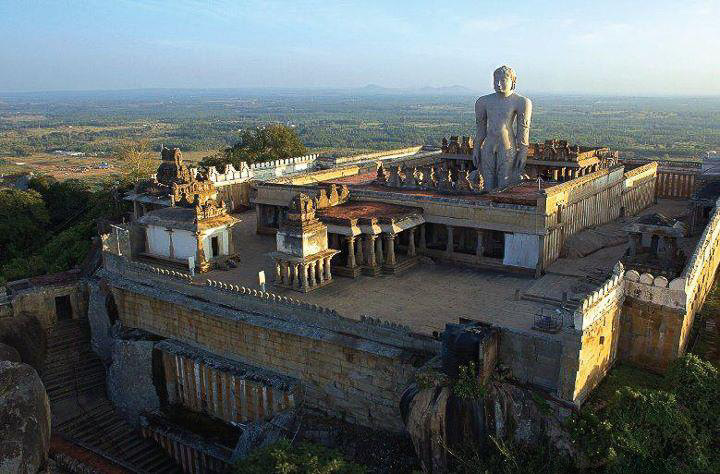 Vindyagiri (Kannada) is one of the two inclines in Shravanabelagola in the Indian area of Karnataka; the other is Chandragiri, which is in like manner a seat of a couple of greatly antiquated Jain focuses, going back significantly more seasoned than Gommateshwara statue. 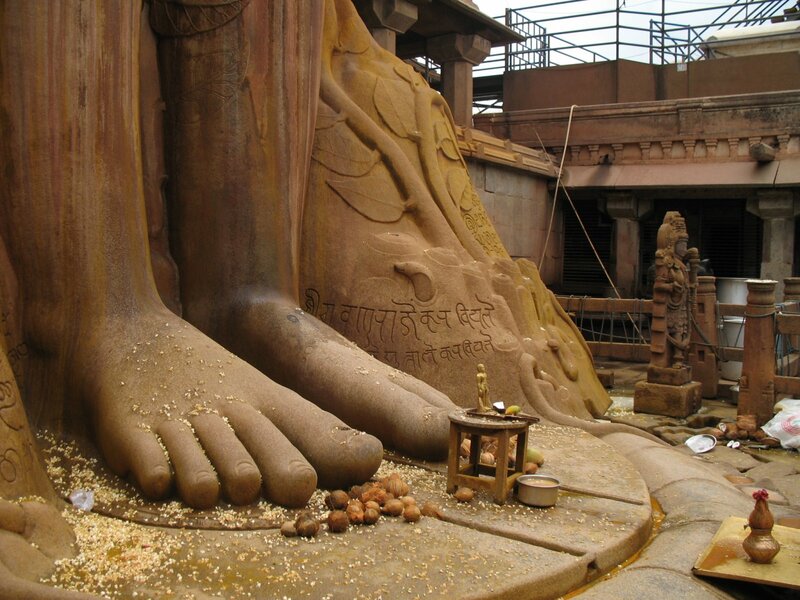 The statue Gomateshwara Temple is devoted to the Jain god Bahubali. It was worked in around 983 A.D. furthermore, is one of the biggest detached statues in the world. The development of the statue was appointed by the Ganga tradition pastor and authority, Chavundaraya. Neighboring regions have Jain sanctuaries known as basadis and a few pictures of the Tirthankaras. This Statue of Gomateshwara Temple at Sravanabelagola in Karnataka in India was created by Chamundraya around 983 AD. Chamundraya was a minister of the Ganga King, Rajamalla. The celebration Mahamastakabhishekam is held once in every 12 years, during which the image of Lord Gomateshwara is bathed in curd, ghee, milk, saffron and offered gold coins. The Gomateshwara Statue at Sravanabelagola has wavy hair and enormous ears, totally open eyes, totally etched face with a swoon grin, wide shoulder and arms, extended downwards. The Statue of Gomateshwara, Sravanabelagola stands bare and straight in the stance of contemplation known as kayotsarga. There is an anthill in the background, which signifies his continual sacrifice and self pain. It is difficult to pass on its brilliance and aesthetic perfection by words. Any one who has an opportunity to see it by and by will effectively concur with the up to this point general supposition. This gives a response to a few faultfinders likewise who call the Jainas worshipful Gomateshwara Temple. The Gomateshwara Temple timings are from morning 6-30 am to 11-30 am and 3-30 pm to 6-30 pm in the afternoon. It takes about 2-3 hours to climb up the hill, visit all monuments and come down. Dolis are available at the entrance of the hill that charge about Rs. 800 including return. Early morning is the best time to visit the hill.